As press conferences from tech companies approach, the biggest fall trend in watches will be smartwatches. The next evolution in horology is quickly rising in popularity, even Switzerland jumped on board with TAG Heuer releasing the Connected. 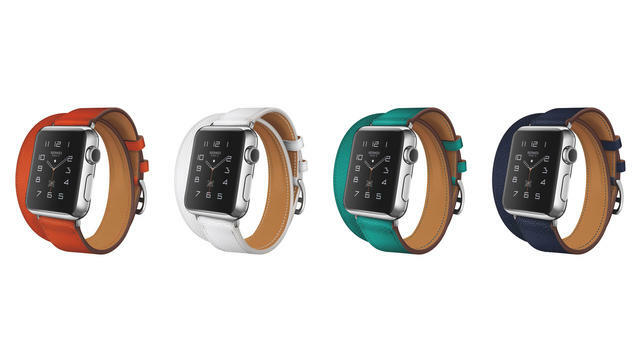 Plus, the company you either love or hate, Apple is supposedly releasing their new Apple Watch. 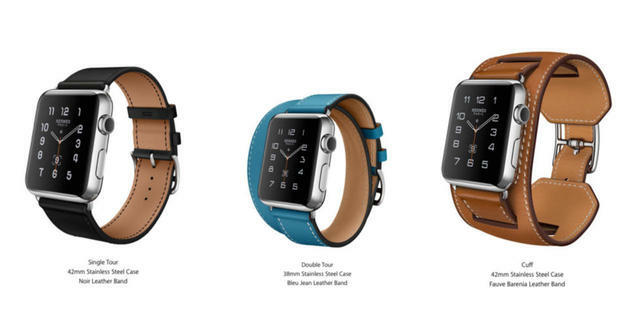 It’s going to be an interesting fall for digital watches. In addition to releasing new MacBook Pros and an updated iPhone, Apple will hopefully release the Apple Watch 2. The watch is expected to go live on September 7 at one of the company’s famous press conferences. One of the largest complaints of the watch was the battery life. Like the company’s phone or any device, using apps and internet capabilities takes the power out of the devices fairly quick. With pictures leaked from China or secretly released by Apple, the new model has a new and improved battery capacity of 1.28Wh, which is a 35% increase from the debut piece. Nixon decided to create a smartwatch for a section of the market that it would appear sports giants like Nike and Adidas dominate. The watch is powered by Android Wear and working hand in hand with Surfline and Snocountry, the Mission is equipped with preloaded apps and real-time surf and snow shred alerts right on your wrist. The watch features a custom-molded case from polycarbonate and stainless steel and a 316L grade stainless steel bezel. 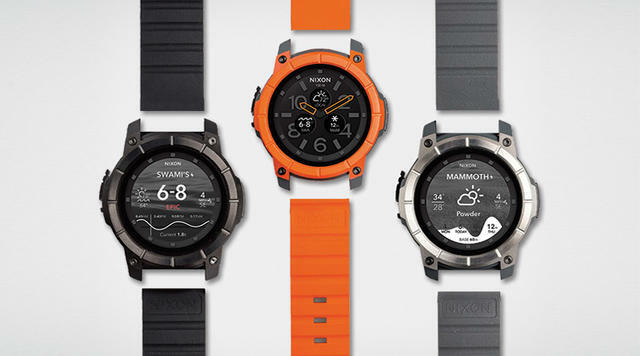 These materials are fairly unique to Nixon and introduce the idea of a tough smartwatch, not just a sleek tech device. Samsung just released their Gear S3 yesterday in Berlin at the IFA tech conference. The watch is nothing like leaked images. Instead of the jeweled options people believed to be getting, the new Frontier and Classic watches are rugged with larger case sizes. Improvements to their previous launch is Samsung Pay, which can be used anywhere credit cards are accepted. The battery life is increased to 380mAh, which is about three to four days. The watch is meant to be used as a standalone device, so the watch now supports an LTE network. The rotating bezel can now be used to accept or reject phone calls. 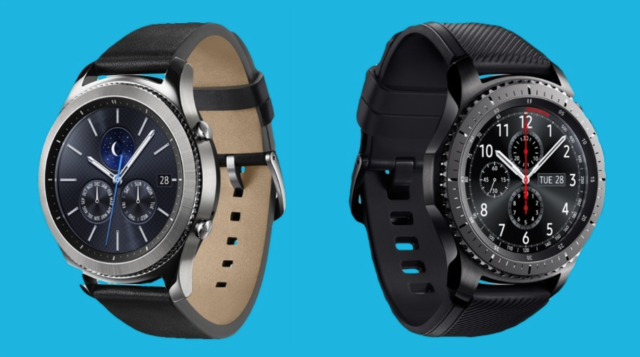 The watches are not on sale yet, go to Samsung's website for more information. HTC utilizes the Android mobile operating system to design and manufacture smartphones, virtual reality hardware and other devices. The company has long been rumored to be creating a smartwatch. Fans and blogs thought this June would bring an HTC watch, but nothing dropped. This autumn, the watch is actually supposed to be released. 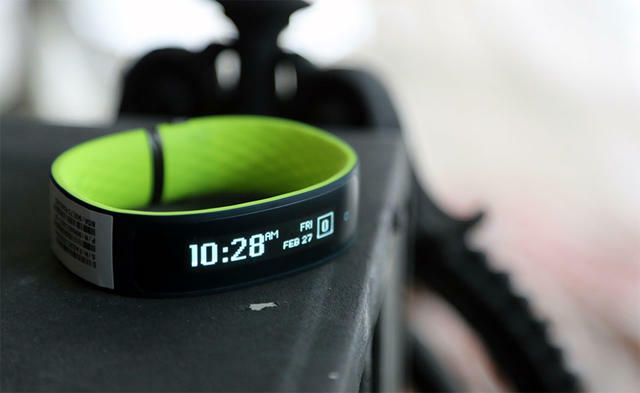 The device was initially thought to be a companion to the 2015 HTC One M9 phone and the Grip is a wearable, but is more like a Fitbit than a watch. No designs have been linked, but one rumor is that the watch would have a camera. With the giant Apple releases their latest iteration of the Apple Watch, many would think that the market is too crowded for more options. But if the support and sales are like the first Apple watch, than smaller companies like Nixon and New Balance can make a real dent in the smartwatch market, while Samsung and HTC can continue their rising sales and increasing brand recognition.